Labaid Cardiac Hospital! Hello Dear, welcome to Labaid Cardiac Hospital Location, Doctor List, Contact Number, Email and More Info content. In our country, there are many Hospital available, which provide good quality medical services. Today, we are going to share Labaid Cardiac Hospital Contact Number, Hospital Address, Doctor List, Helpline number for Appointment & Email Address. So, staying with us and follow the below content. Labaid is the trend setter in business sector in Bangladesh. Today Labaid is one of the leading group of companies in the country which includes business of health care, pharmaceuticals, financial, education, agros etc. However the core of Labaid group lies in health care services. 20-25 years back there was no comprehensive treatment facilities in the country. It was very difficult to have the diagnosis for a distressed patient from a remote area in Bangladesh.For a minor investigation a patient from a remote area had to stay Dhaka for several days and wander at different places for different tests. The lack of quality treatment and the sufferings of the patients inspired the visionary leader Dr A M Shamim to set a new trend in treatment for Bangladeshi patients. As a result Labaid diagnostic was established with the belief that a cure is the result of an accurate diagnosis. At that time there was not much option for cardiac treatment except going to neighboring countries. Labaid Cardiac Hospital unfolded a new horizon of cardiac treatment for Bangladeshi patients. Thanks for staying with us a long time and visiting Labaid Cardiac Hospital Location, Doctor List, Contact Number, Email and More Info content. 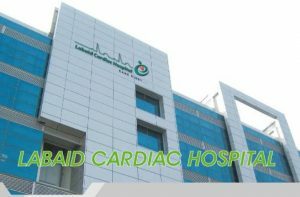 If you have any question about the Labaid Cardiac Hospital information? Just comment here, we reply as soon as possible.